Quotes such as "There can be no understanding between the hands and the brain unless the heart acts as mediator", are embedded into our minds forever and whenever it is mentioned, we think of Metropolis. This 1927 German Expressionist, Science-Fiction film directed by Fritz Lang. Seet in a futuristic urban dystopian city in the year 2026, it explores the social crisis between workers and owners inherent in capitalism, as expressed by Karl Marx and Friedrich Engels. In a futuristic city sharply divided between the working class, who live in poor conditions but are the basic force for the city's work, and the upper class, which is mainly integrated by the city planners and their families, two persons from each class fall in love with each other. One of them is a working class prohet, a woman who gives hope to the city's workers. She predicts the coming of a savior, a savior who will mediate the differences between the social groups and give the city the start of new era. The other is the son of the city's mastermind. But the prophet is kidnapped by a crazy inventor, who wants to use her to make a robot work. The robot is given the same physical appearence the prophet has. Following orders from the crazy inventor, the robot creates a lot of problems for the working class. The son of the city's mastermind and the prophet will have to stop the robot and its crazy inventor for creating more problems for Metropolis, and achieve the goal of making Metropolis an harmonius place. 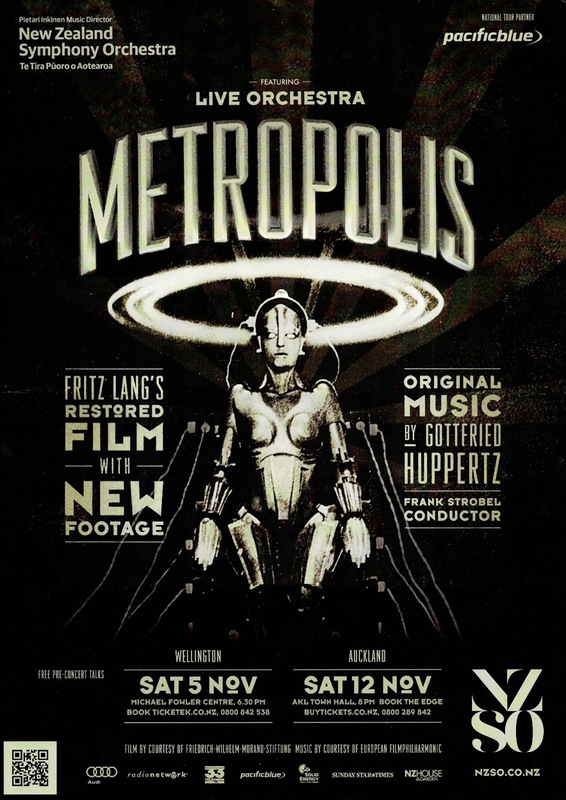 Metropolis was conceived by writer and collaborator Thea von Harbou during the Weimar Period in Germany. Originally it serialized as a novel in Illustriertes Blatt, for the purpose to sell it as a film up to its release, before ultimately released as a book and thus written as a screenplay. The novel in turn drew inspiration from H. G. Wells, Shelley and Villiers d'Isle Adam's works and other German dramas. Harbou and Lang collaborated on the screenplay derived from the novel, and several plot points and thematic elements — including most of the references to magic and occultism present in the novel — were dropped. The screenplay itself went through many re-writes, and at one point featured an ending where Freder would have flown to the stars; this plot element later became the basis for Lang's Woman in the Moon (1929). Principle photography for Metropolis was delayed again and again due to budgetary and economical factors. Filming ultimately began in May 1925 with a reported budget of five million Reichsmarks (U.S. $200 million today). Which made it the most expensive film at that time. Shooting took place at Babelsberg Studios outside of Berlin. Shooting lasted for seventeen months, and was finally completed in October 1926. 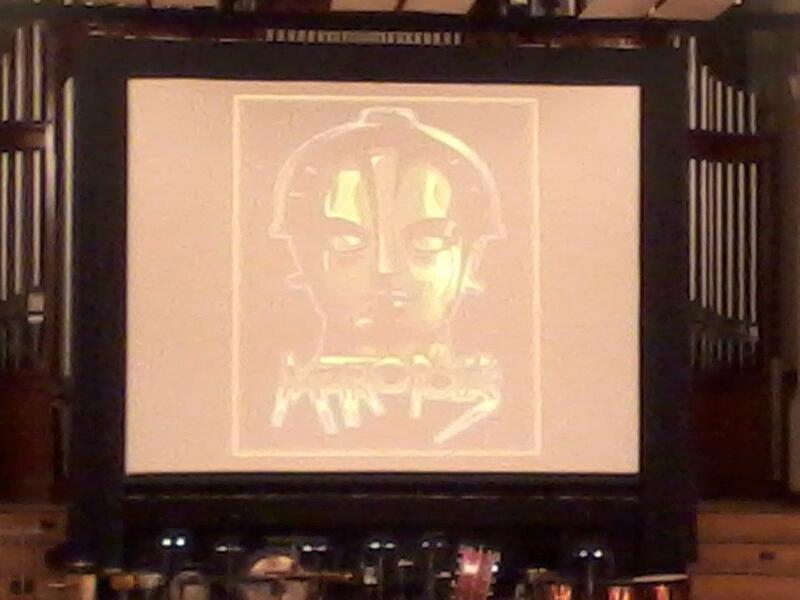 Metropolis had its premiere at the Ufa-Palast am Zoo in Berlin on January 10th 1927, where the audience reacted to several of the film's most spectacular scenes with "spontaneous applause". But was ultimately met with mixed reviews from critics. Who were all willing to bet that in 20 years time that it would not become a major success. Lang even commented with his displeasure of the film "The main thesis was Mrs. Von Harbou's, but I am at least 50 percent responsible because I did it. I was not so politically minded in those days as I am now. You cannot make a social-conscious picture in which you say that the intermediary between the hand and the brain is the heart. I mean, that's a fairy tale – definitely. But I was very interested in machines. Anyway, I didn't like the picture – thought it was silly and stupid – then, when I saw the astronauts: what else are they but part of a machine? It's very hard to talk about pictures—should I say now that I like Metropolis because something I have seen in my imagination comes true, when I detested it after it was finished?" Since its release, Metropolis has become one of the most influential films of all time. As it was the last German Expressionist film to come out of the hyperinflation period of the Weimar Republic. Inaddition, it has since become a cult classic and inspired films such as George Lucas' THX-1138 (1971) and Star Wars (1977), Ridley Scott's Blade Runner (1982), Tim Burton's Edward Scissorhands (1990) and his Batman films (1989 and 1992), and Alex Proyas' The Crow (1994) and Dark City (1998). The character of the robot inspired the iconic design of C-3PO and the character of Edward Scissorhands, and the aesthetic of the cityscapes in the film inspired the various cities ranging from Blade Runner to Dark City. 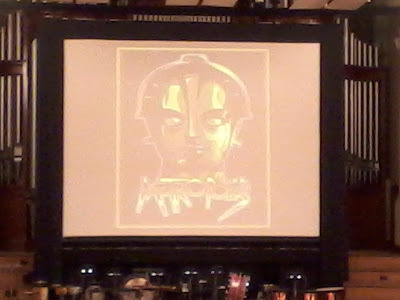 During the years since the first release, Metropolis existed as a bizarrely fragmented and mangled version of the original work. 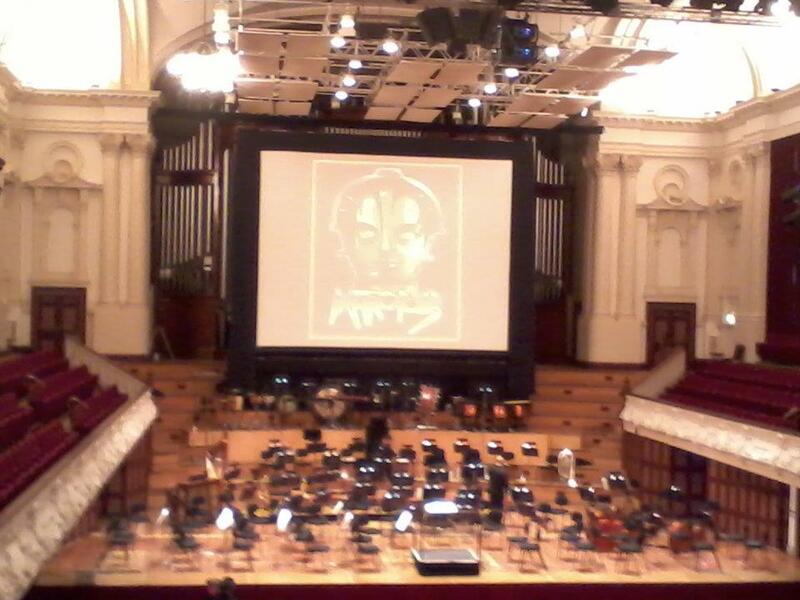 But in 2008, it was painstakingly restored with additional footage from the New Zealand Film Archive. The film's music was recreated by the New Zealand Symphony Orchestra conducted by Frank Strobel. Metropolis is extraordinary with its congested-megalopolis sets and is a visionary sci-fi movie that has its own look that can't be ignored – it has its place in film history. Misunderstood when it first hit theaters, the influence of Fritz Lang's mysterious, sci-fi has deepened with time. A visually remarkable, achingly human sci-fi masterpiece. 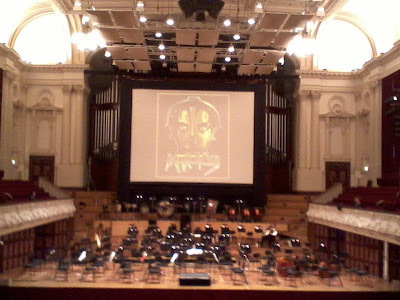 When I watched the film, with its live orchestral performance by the New Zealand Symphony Orchestra at the Auckland Town Hall, I felt that I had a sensational night at the movies, and the picture was only 84 years old. It proves still that it is a technical marvel. One of the great achievements of the silent era and German cinema, a work so audacious in its vision and so angry in its message that it is, if anything, more powerful today than when it was made. Each frame of this classic is drop-dead stunning. One of the last examples of the imaginative -- but often monstrous -- grandeur of the Golden Period of the German film, it is a spectacular example of Expressionist design.